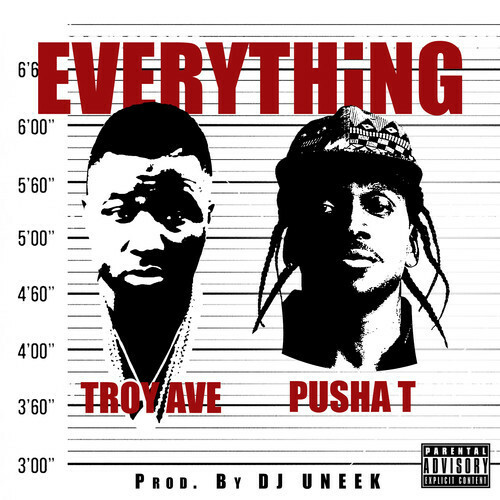 New York’s Troy Ave showcases a standout track titled “Everything” off his latest offering with New York City: The Album. G.O.O.D. Music rapper Pusha T also shows up to lend a hand with a solid verse over the gritty instrumental. It’s all about bricks of dope, trafficking and money as Harry Power takes listeners to the streets with his new drug infused record. This entry was posted in Audio and tagged everything, harry powder, hip hop, pusha t, rap, troy ave, uneek. Bookmark the permalink.